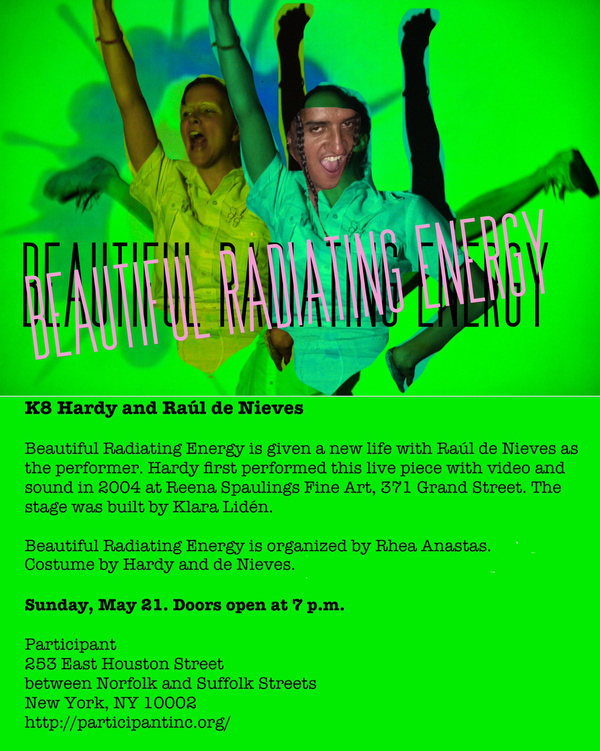 K8 Hardy, Raúl de Nieves, and Participant present BEAUTIFUL RADIATING ENERGY, with de Nieves in a piece Hardy first performed at Reena Spaulings in 2004. BEAUTIFUL RADIATING ENERGY, Sunday, May 21. Doors open at 7 pm. PARTICIPANT, 253 East Houston Street, New York City. RAÚL DE NIEVES—2017 WHITNEY BIENNIAL, through June 11. *John Kelsey, “Information in Drag,” in K8 Hardy, How To: Untitled Runway Show, eds. K8 Hardy and Dorothée Perret (Los Angeles: DoPe Press, 2013), 111, 117–118. **Charlotte Ickes, Whitney Biennial 2017, exh. cat., ed. Jason Best (New York: Whitney Museum of American Art, 2017), 152. Raúl de Nieves, 2017 Whitney Biennial. Image credit: Company Gallery, New York. 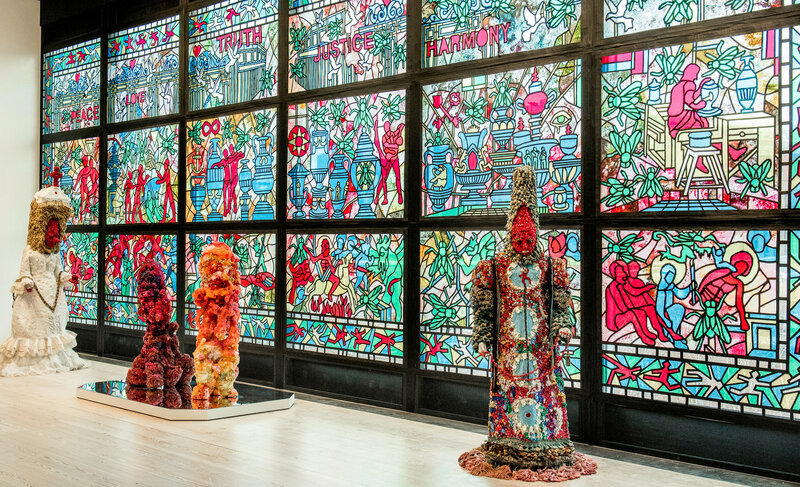 This entry was posted in ART, PERFORMANCE, VIDEO and tagged Beautiful Radiating Energy (Hardy and de Nieves), John Kelsey, K8 Hardy, K8 Hardy How To: Untitled Runway Show, Participant, Raúl de Nieves, Reena Spaulings Fine Art, Whitney Biennial 2017, Whitney Museum of American Art on May 18th, 2017 by Barlo Perry.